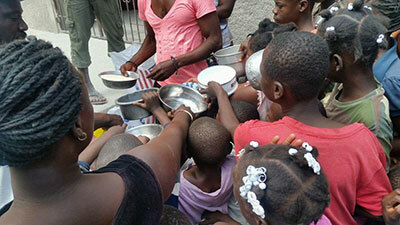 The community of Blanquette, Haiti has been one of the focal points of humanitarian aid for the United Hearts Church. 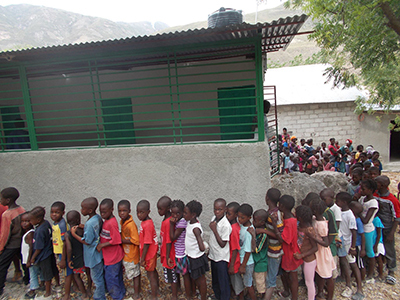 Located near the border with the Dominican Republic, it is far from the capital of Haiti and is underdeveloped. In 2006, United Hearts built a clinic to supplement the church and school they had established there. Most of the residents make a modest income from farming the hillsides that lead up into the mountains. Our primary concerns for this area for 2017 are financial support for the clinic and development of good water sources for their agriculture programs. We are also in the process of building classrooms for the school. This clinic is the only medical facility available to people for miles around. Medical teams from the U.S. are met by large crowds seeking attention. 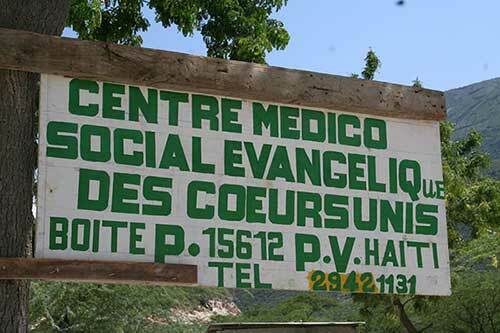 Nurses are driven to the clinic by Pastor Vragne at the beginning of the week and stay there until Friday. 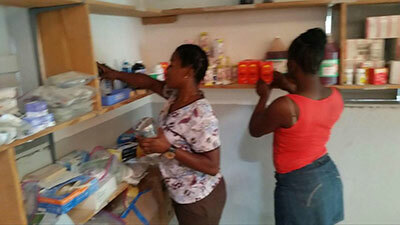 They stay at the clinic and take all their personal supplies with them. Every Wednesday they provide a class on personal hygiene for the women in the area. At all the outreaches of the church we try to provide food to supplement their diet. The response to this is one of the most moving experiences for missionaries who come from countries where food is taken for granted.